Schmidt Hammer Lassen Architects has beaten the likes of Henning Larsen and Zaha Hadid Architects in a competition to design Kimmel Quarter, a major urban revitalization project in Riga, Latvia. Located in the capital’s Central District, the project will be centered on the redevelopment of Brewery Kimmel, a 19th century beer brewery rich in history. 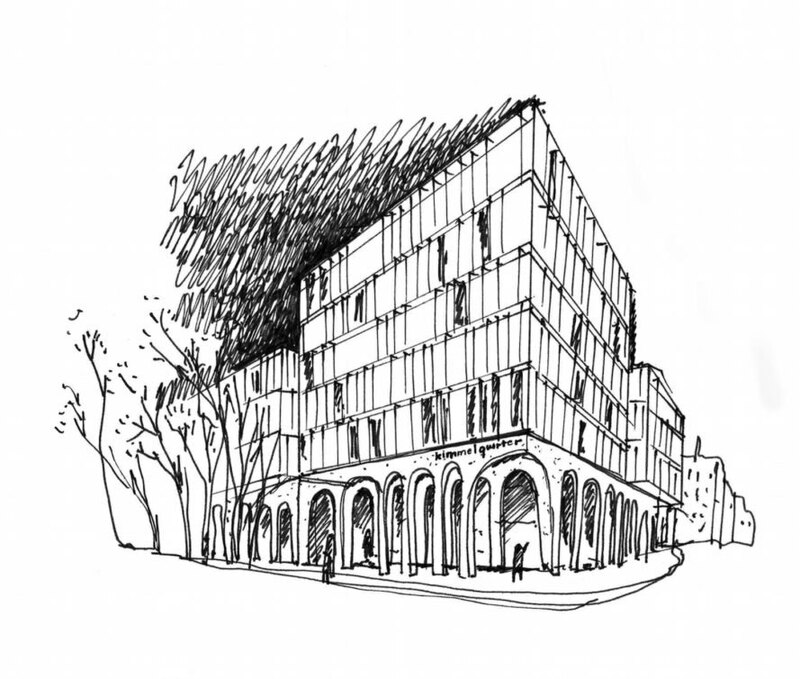 The adaptive reuse scheme will preserve the site’s historical roots while adding new mixed-use programming that follow sustainable design principles. The 11,500-square-meter Kimmel Quarter will become Riga’s new destination for working, shopping, and recreation. 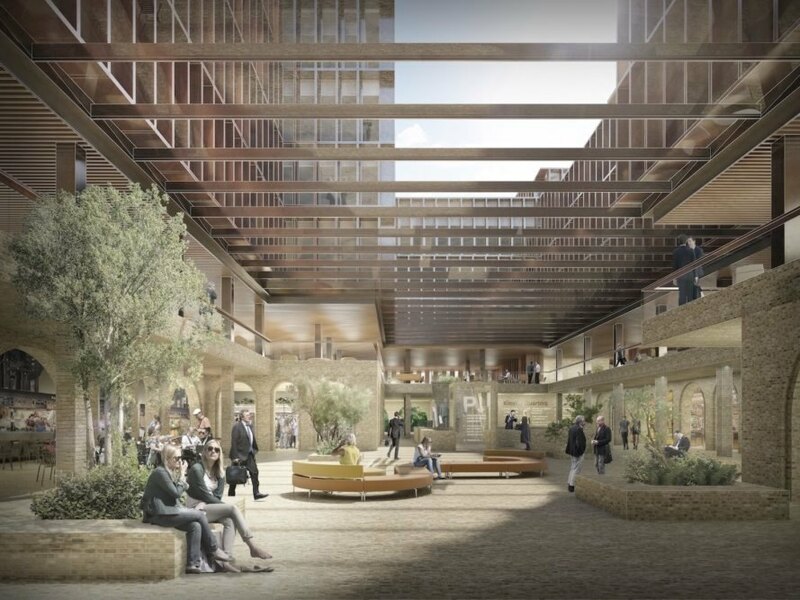 The abandoned industrial buildings that occupy nearly an entire city block will be restored and transformed into a 30,000-square-meter office building, a hotel, a public gym, a child care center, a cafe, a spa, a food court, and a convenience store. Inviting courtyards and plazas will tie the various spaces together. 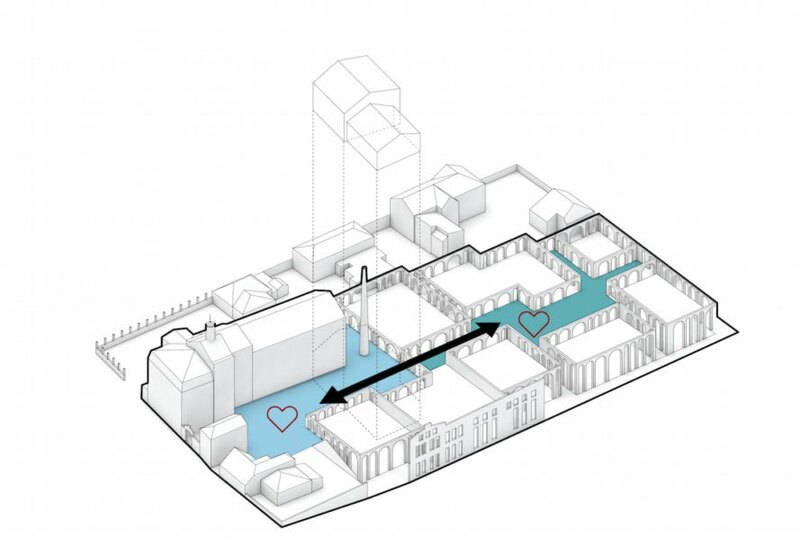 Sensitive adaptive reuse, passive solar orientation, and use of recycled materials and rainwater are part of the design’s focus on sustainability. 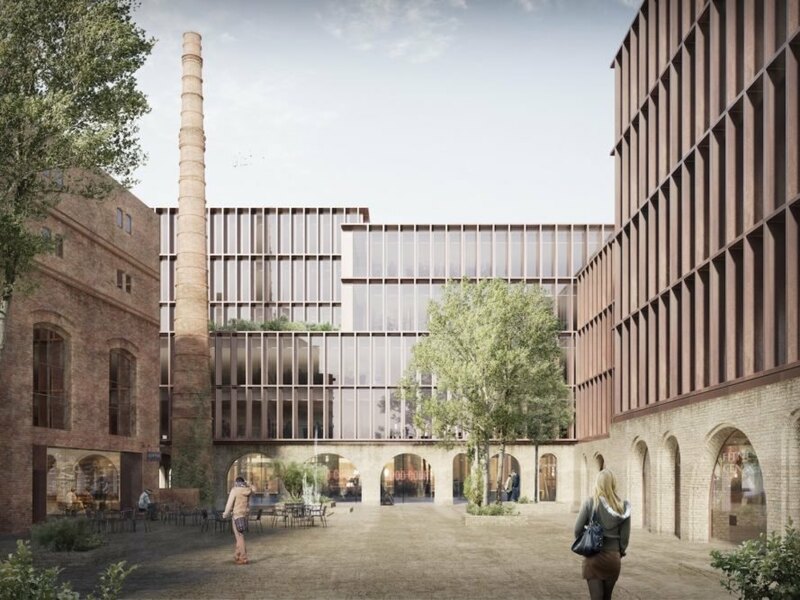 Kimmel Quarter will follow BREEAM standards and is expected to serve as one of Riga’s model project for meeting the European Union’s 2020 climate and energy package goals. The 11,500-square-meter Kimmel Quarter will become Riga’s new destination for working, shopping, and recreation. 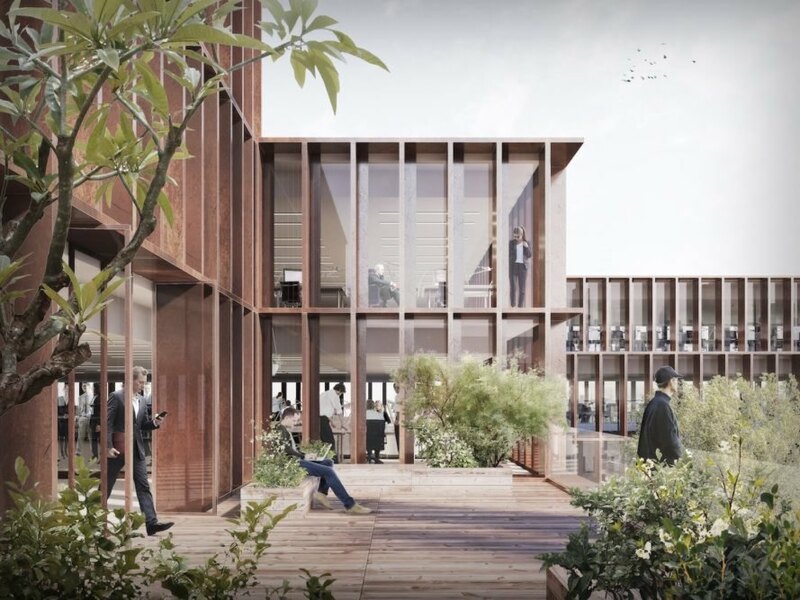 The abandoned industrial buildings that occupy nearly an entire city block will be restored and transformed into a 30,000-square-meter office building, a hotel, a public gym, a child care center, a cafe, a spa, a food court, and a convenience store. Inviting courtyards and plazas will tie the various spaces together. "We wanted to create a new composition of building volumes as pragmatic and straight forward as the old industrial complex with a dynamic façade that pushes back and forth and up and down," said Rasmus Kierkegaard, Associate Partner at Schmidt Hammer Lassen. 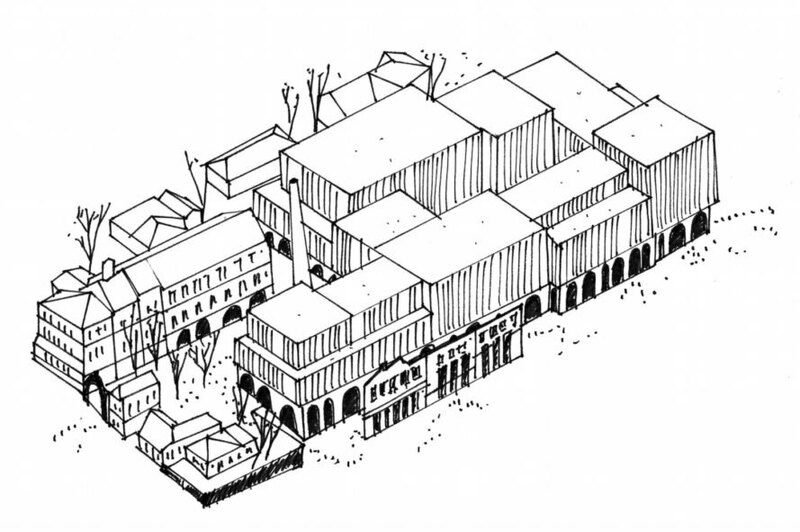 "The resulting architecture is distinctly modern, but in a rewarding dialogue with the old restored buildings. We have designed a new Kimmel Quarter in which history and the future are bound by timeless architecture."